Make all your spring break dreams come true this year by spending it on California’s sunny Central Coast. Visiting one of our beautiful resorts? Follow this list to make the most of this special time of year on the Central Coast, from jam-packed road trips to relaxing beach days. Don’t forget your swimsuit! 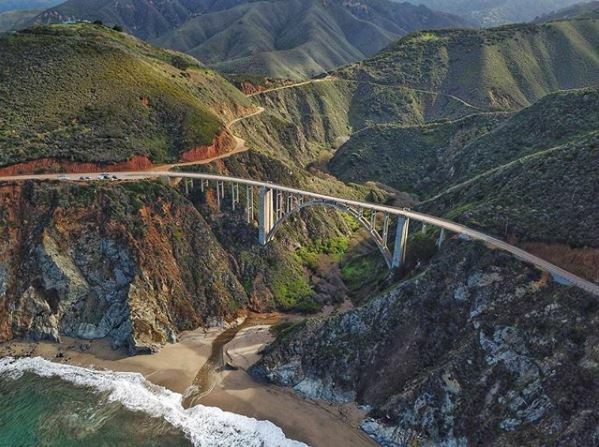 The winding coastal highway, the Pacific Coast Highway (PCH), that encompasses Big Sur is famous for good reason. The twists and turns uncover fantastic and unforgettable ocean views with white cliffs jutting off to collide with crashing waves. Over spring break, take a road trip up to see it for yourself. You can stop at famous Big Sur landmarks like Julia Pfeiffer Burns State Park, or pull off to grab a bite to eat at one of the small Big Sur communities. Over the next few weeks in San Luis Obispo we’ll enjoy sunny weather in the 60’s and 70’s. It’ll be perfect weather to try the SLO tradition of hiking three major peaks: Bishop’s Peak, Cerro San Luis (Madonna), and The Cal Poly “P”. The best part? 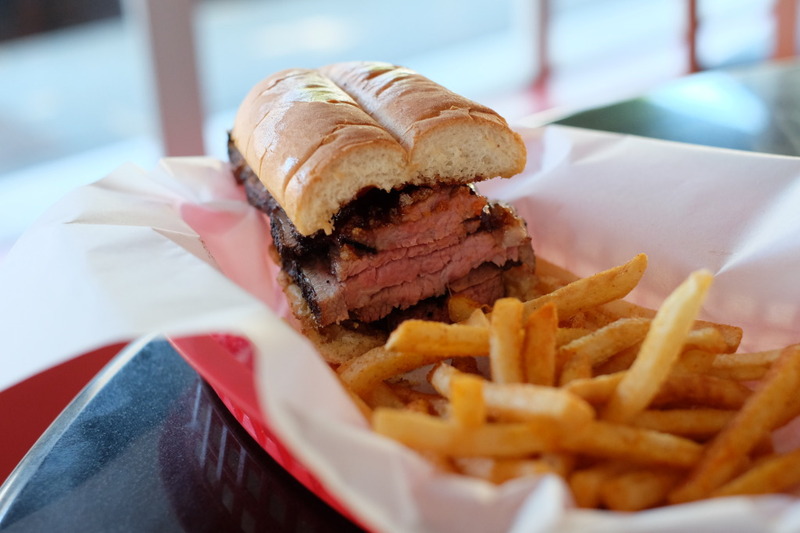 The challenge is completed by eating a hearty tri-tip sandwich at Firestone Grill. Try a sunrise hike at Bishop’s Peak and watch as the fog rolls in over beautiful San Luis Obispo. Follow this up with Madonna Mountain, and finish the day off with the shorter, steep Cal Poly “P” trail. Be advised, even though the hikes are acceptable for beginning hikers, the challenge will take 4-5 hours out of your day, so pack plenty of water and SPF! 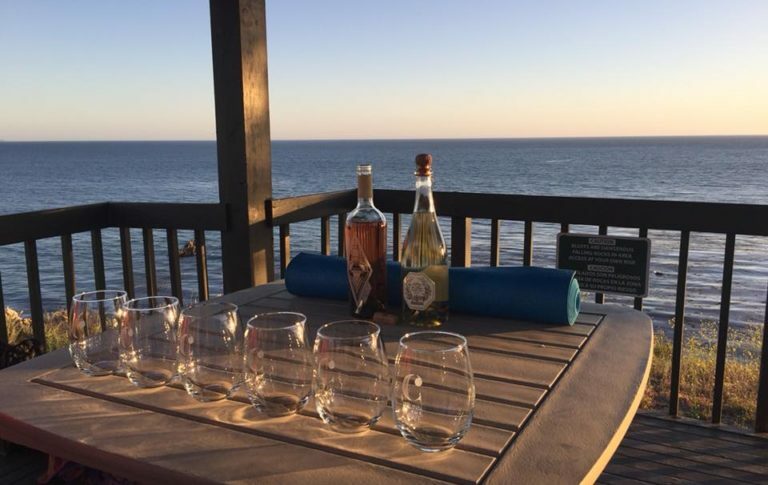 What better way to spend an evening than getting fit atop the cliff-lined shores of Pismo Beach—and when you’re done you get to enjoy a glass of wine! Sunset Wine and Yoga is hosted at our very own Inn at the Cove. Classes are available on a first come, first serve basis—so make sure to come early! For more info click here. Feed your hungry tummy while also supporting local vendors at your neighborhood farmers market! With its year-round growing season, the Central Coast boasts mouthwatering fresh produce throughout the year. 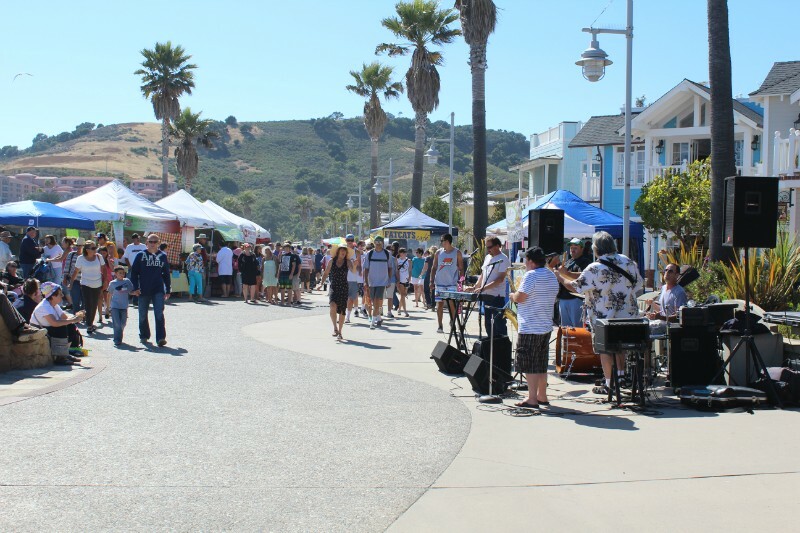 The Avila Beach Farmers Market just reopened, and it’s a must see! Shop local produce while listening to the waves crash against the shore—the perfect combo! Click here for more info. 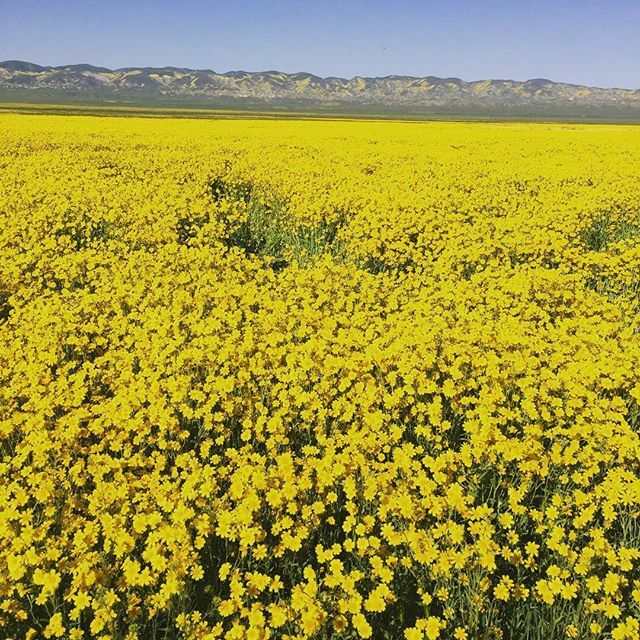 When rain falls over the Central Coast in winter (and we had a lot this year), we get the best reward when the sun shines again and blooms wildflowers to their full color. Click here to learn about the best local spots to see the display, including nearby Shell Creek Road. Looking for some live music in the neighborhood this spring break? 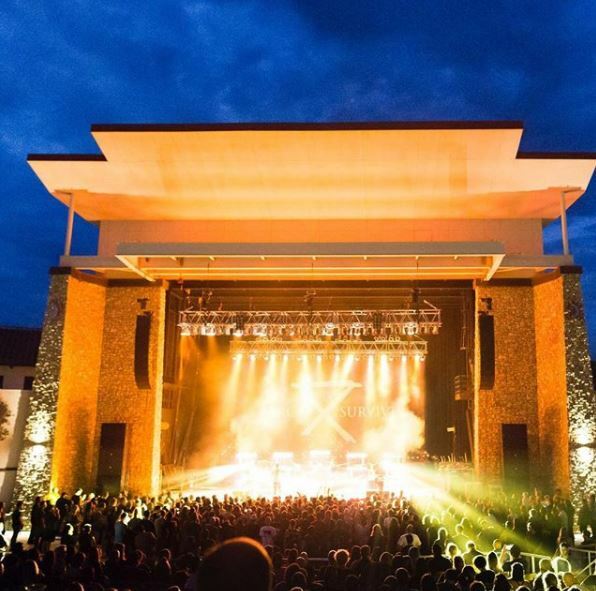 There are plenty of venues around town that will have shows in the next few weeks. Try “Beer at the Peer” nights in Baywood Park, see Brett Eldridge at Avila Beach Golf Resort, or check out Free Music Fridays at SLO Brew. That’s just a sampling – click here for more upcoming live music events!